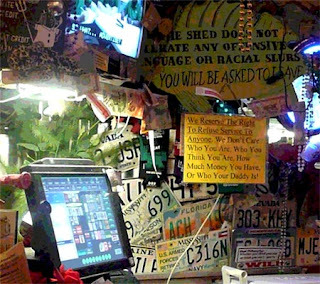 Visual Noise – "The Shed Barbeque" in Ocean Springs, MS. You haven't had barbeque till you've eaten at The Shed ya'll! Jackson - May 2008. 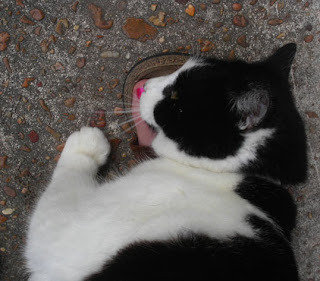 She was outside in her favorite spot, but when I went outside to chat with her, she came to meet me and laid down on my foot. Wonderful collection of images in your noisey photo..I love these sorts of photos! Oh,that was bad english! Lol. I meant in your 'noise' photo! Visual noise is also beautiful. Nice interpretation. Who wouldn't like to rest in chocolate mint? I like the way you have given a visual slant on noisy. Excellent interpretations, Gara! 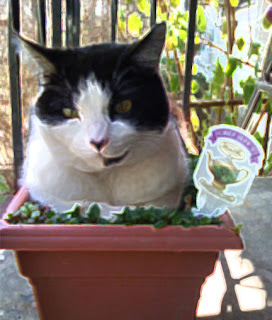 I especially like the cat in the mint! Cracked me up. Reminds me of the cat in my house. I've seen him lie in some places that seemed impossible, but he managed! And the crazy busyness of that first photo made me chuckle. Somewhere in there is a person, right?